Tesla’s Autopilot system has gotten a lot of press, but other automakers also have semi-self-driving systems that Consumer Reports claims are better than Tesla’s. Most automotive companies have been moving to embrace futuristic driving technology like driverless functionality. As driverless technology gets closer to being a safe reality, car manufacturers are implementing semi-autonomous systems into their vehicles. Tesla’s Autopilot is the most well known of all the systems, but Consumer Reports doesn’t rank it as the best. The publication tested four different driving systems. It ended up ranking GM’s Super Cruise by Cadillac as the best available system. It was followed by Tesla’s Autopilot at number two, Nissan’s ProPilot Assist came third and finally Volvo’s Pilot Assist came in last. MobileSyrup’s review of Cadillac’s Super Cruise System. Super Crusie was tested on a Cadillac CT6. Autopilot was examined in Tesla’s Model 3, X and S. An Infiniti QX50 and a Nissan Leaf represented ProPilot Assist. Finally, Volvo’s Pilot Assist was tested on both an XC40 and an XC60. The marketplace analytics publication ranked Cadillac as number one because it works well, and it monitors driver engagement to help keep their focus on the road. The system uses a small camera to track the driver’s eyes and make sure they don’t leave the road for more than four seconds. Consumer Reports notes that at 60Mph a car can travel the length of a football field in four seconds, so while it seems like a shot time span, it’s much safer than Tesla’s 24-second warning. One of the keys of the new report is that the review agency doesn’t want people to be afraid of the semi-driverless tech, but rather be aware of its limitations and how to use it safely. MobileSyrup’s review of Nissan’s ProPilot Assist System. During testing, Consumer Reports even discovered that Volvo had its Pilot Assist function sorted under the ‘Autonomous Driving’ subheader online. It’s situations like this where regular people may get confused about what exactly their car is capable of. Tesla did come out on top in a few categories. 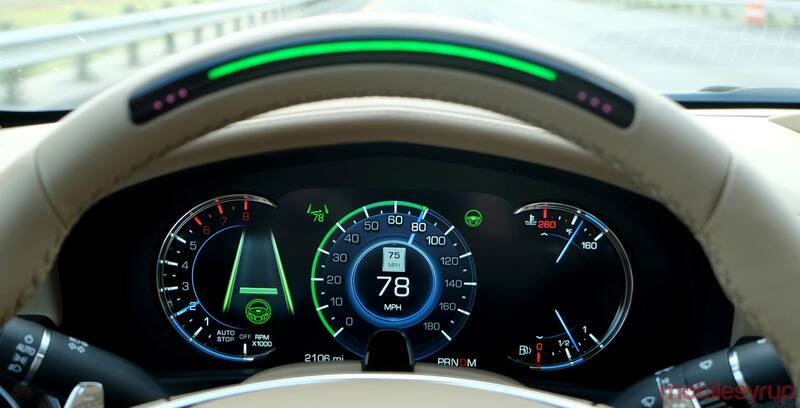 Autopilot is the easiest to enable, and it’s clear to drivers whether it’s on or off. Overall this probably speaks to Tesla’s interface design more than the capabilities of Autopilot. Teslas running on Autopilot also stayed in the centre of their lane better than the competitors, but Consumer Reports worries that since the car’s lane guidance is so good it may cause drivers to stop paying attention to the road. Combining that with the fact it takes a Tesla 24 seconds to warn the driver if it detects they’re not paying attention, the electric vehicle’s system allows its driver to stop paying attention to the road easily. Overall, it seems GM nudges out Tesla overall, but both systems seem slightly further ahead than Volvo and Nissan’s offerings.